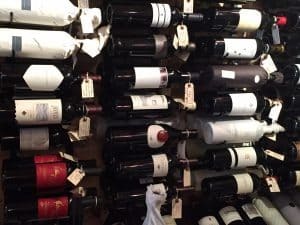 Buying wine by the case can save you some money. We wanted to find a way that buying wine by the case could save you a lot of money. We researched as many online wine stores as we could to find the best deals. 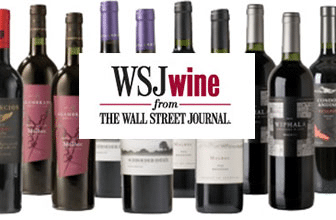 Combing the first time buyer deals we offer from WSJWine and Macy's Cellars Wine Club($150 discount!) gets you a lot of quality wine and ridiculously low prices. If you take advantage of the combined deals, you'll be drinking high-quality wine for under $7.50/bottle. The wine needed to be good. We weren't looking to buy up lots of bulk wine that someone was trying to get rid of. The process needed to be easy from the signup to the delivery. We hoped to pay less than $10 per bottle. We feel that is a great price for good wine. With those three parameters in mind, we started visiting tons of websites that promise wine by the case delivered to your doorstep. Obviously, the first group that we filtered out where the sites that only ship you one to four bottles at a time. We also quickly removed the sites that send cheese pairings, wine by the glass and any unique proprietary wine pouring devices. All of these options are great in the right circumstances, but not what we were looking for here. We were searching for inexpensive, good and easy to order wine by the case. So Who Offers The Best Wine By The Case Deal? Once we narrowed our list down, things got interesting. There are a good number of online wine sites that fit a few of our criteria. There are nicely designed sites that are easy to use, but they sell really bad wine. There are sites that probably sell good wine cheap, but we couldn't even figure out how you place an order. Then there are the sites that make you think you are getting some good wine cheap until you hit the checkout. Suddenly, there are shipping and handling fees that cost more than the case of wine does. After discarding those sites, we were left with two nice options that fit our wine by the case requirements. These are branded wine clubs that seem to share a similar fulfillment company. The best deal is only available when you first sign up for their wine by the case club, so you can figure out how to make this work in your favor. You want the best deal ordering wine by the case! Here it is. Great One Time Deal: This wine club will ship you a case of quality wine for 69.99 plus 19.99 in shipping charges. You also may be charged taxes. All in, you are looking at roughly $90 for 12 bottles. There are 12 bottles of wine in a case. That's a hell of a deal. $7.50 per bottle for good wine. But how do they offer this amazing deal? The wine club clearly wants you to sign up, be happy and keep accepting their wines by the case. But you don't have to. You can cancel at any time. If you decide to continue receiving cases of wine from these guys, the cost goes up to about $170 per case or about $14 per bottle. That's not bad, but it is more in line with most other wine by the case clubs. Club Offering: This is a wine by the case club. Their standard deal is 12 bottles of wine shipped to you four times per year. The cases you select can be all red wine, all white wine or mixed. The wines are from all over the world. Some of the wines are highly rated and they all look like they fall into the good quality category. The wine club says they guarantee the wines, so you can send back bottles you are unhappy with and they will ship you different bottles. Bonus: The club is also throwing in one of those fancy wine openers with your purchase. Great One Time Deal: This is going to get a little spooky because the deal from Macy's Wine Cellar Club is almost exactly the same as the WSJ Wines deal we just talked about. The major difference here is that Macy's Cellars Wine Club is going to give you even more wine! That's right, they are shipping you 15 bottles. I guess they don't know how many bottles are in a case of wine. That works for us! That is a ridiculously good deal of $6.00 per bottle of quality wine. But how: Same as we said above. Macy's Wine Club wants to sell you wine by the case on a recurring basis. They figure they can hook you with the first shipment. The regular wine club deal with them looks just like the WSJ deal. You are going to pay roughly $160 for 12 bottles. Again, that is a nice price if you are buying a case of wine. Club Offering: Not much that we didn't cover above. The big difference appears to be the branding of the club. The Macy's Wine Cellar will appeal to people who know and trust the Macy's brand. You can create an instant wine collection by signing up for both wine clubs. You will have 27 bottles of wine at cost of around $6.70 per bottle. We have no idea how long these offers will last. This is a great way to quickly fill up your wine fridge, your wine cellars or where ever else you store your wine. 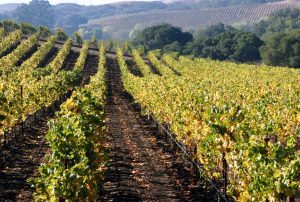 If you want to read more about picking wine clubs, check out our guide to selecting the right club. 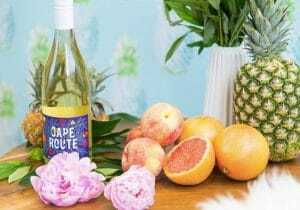 Looking for an affordable wine club that ships smaller quantities, check out our favorite affordable wine clubs. A case of wine contains 12, 750 ml bottles of wine. Each case of wine contains roughly 60 glasses of wine. That's assuming a 5 oz. pour from 12 bottles. Taking advantage of this case of wine deal means you are paying less than $2 per glass of wine. Sure beats the local wine bar! It requires roughly 8,400 grapes to make a case of wine. That's about 29 lbs of grapes needed for each case of wine. Total fat in a case of wine? None! How many bubbles in a case of champagne? We'll let you calculate that one 44 Million X 12.